After a short break welcome to our new case! This week we start in general practice. She forgot her appointment for repeat bloods and has come to see you because she has developed a rash on her arms. What do you think the rash is? Are there any treatments you would start? What would you like to ask in the history? 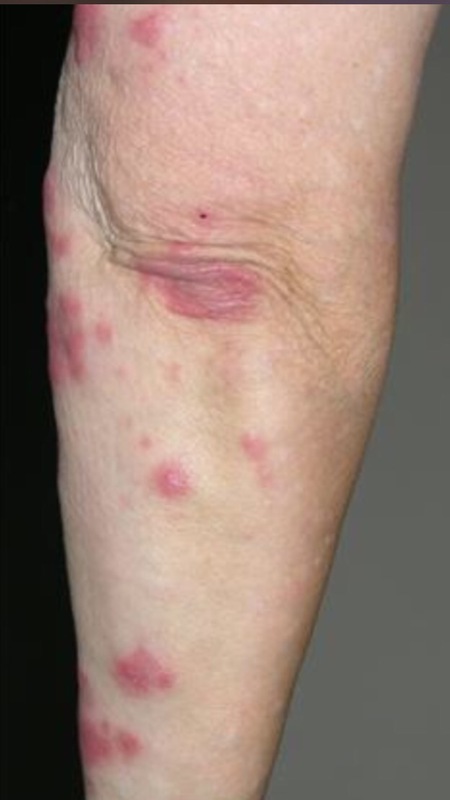 This entry was posted in Acute leukaemia, Related to other specialities and tagged AML, chemotherapy, dermatology, Obstetrics, pregnancy, rash. Bookmark the permalink.